Build skills and have fun! Horseback riding is fun and challenging and keeps kids active. Individual lessons ensure that each child progresses at their own pace. Your child’s confidence and self-esteem will grow along with core muscle strength, balance and coordination. Students experience horses “from the ground up” at North Wind, as they learn basic horse care and grooming. The North Stars Youth Club gives your child the opportunity to connect with others who share their passion for horses. Saddlebred Rescue, an award-winning equine rescue program, makes its home at North Wind and provides a priceless opportunity for kids to exercise compassion as they participate in the care and rehab of neglected and needy animals. At North Wind we are committed to providing a safe, enjoyable and valuable riding experience for riders of all ages and their families. Unlike many stables we start riders as young as 3. 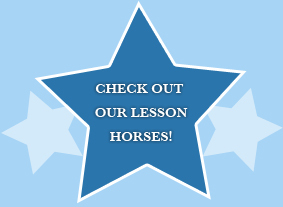 We believe with focused age appropriate instruction these young riders can gain a lot from riding lessons. Among the many benefits are increases in physical coordination, confidence and attention span. Young riders also have a lot to gain socially from the experience. Being part of a group of young people who share an interest in a wholesome family oriented activity gets children off to a great start socially, as their world starts to expand to include those outside their immediate family members. 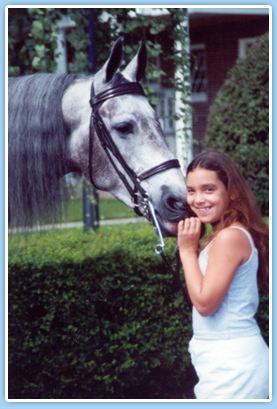 Children who begin riding as youngsters tend to develop a lifelong love of animals and compassion for and understanding of other living creatures. It is with these benefits in mind that we have created our tiny tots program. We understand that children in this age bracket develop at vastly different rates physically, mentally and emotionally. 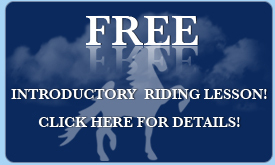 For this reason we customize a program for each child individually and work closely with the parents to insure a positive experience for the young rider. There is no pressure; everyone progresses at the pace that is best for them. Safety is always our first concern and for that reason we maintain a good selection of well-trained kind lesson horses, suited for the job. 3 and 4 years olds will be riding on the lead line and only progress to independent control of the horse when they are physically and mentally able to do so safely. Our staffs of instructors and assistants are highly knowledgeable and experienced. As a young rider progresses they will have the opportunity to compete in horse shows if they desire (no one is required to compete). Our competitive riders are taught from a young age the value of hard work, personal responsibility and good sportsmanship. Of course we always keep it fun too!